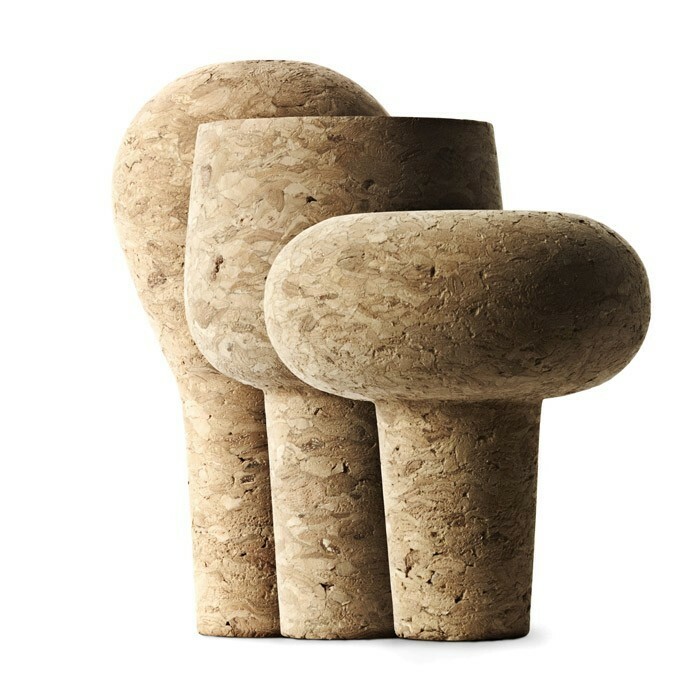 by definition, cork is a renewable resource and a partner in sustainable development, because a farmed cork tree captures two times as much CO2 as a wild cork tree. 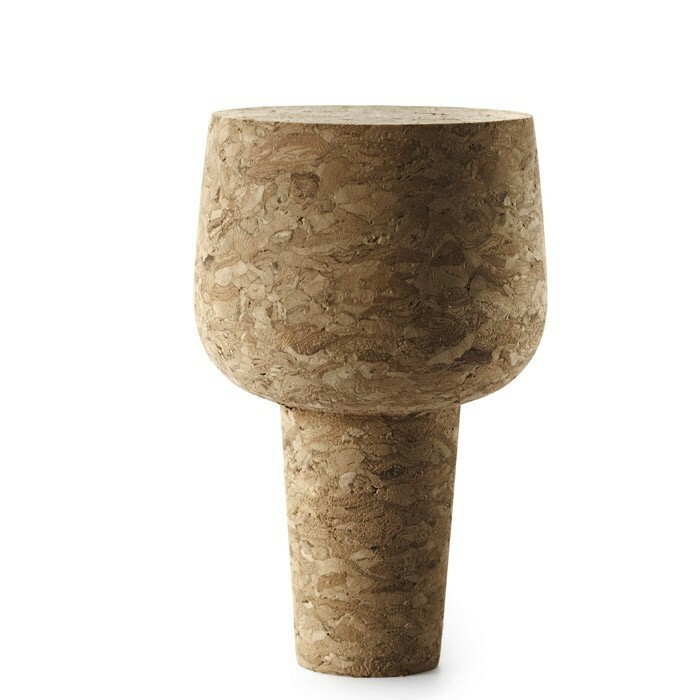 Portugal, which today produces more than 60% of the world's cork, has a long history of cork farming and conservation techniques that date back to the 12th century. 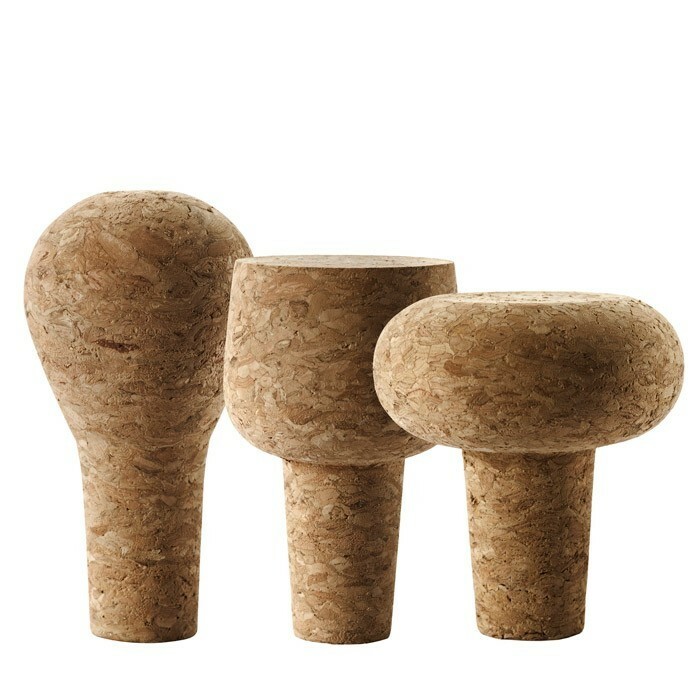 Cork was used in the late middle ages in the construction of caravels (the ocean-going ships used by Portuguese explorers), particularly for ships exposed to harsh weather. Thus, cork aided the discoveries of courageous explorers like Bartolomeu Dias, Vasco de Gama and Magellan! 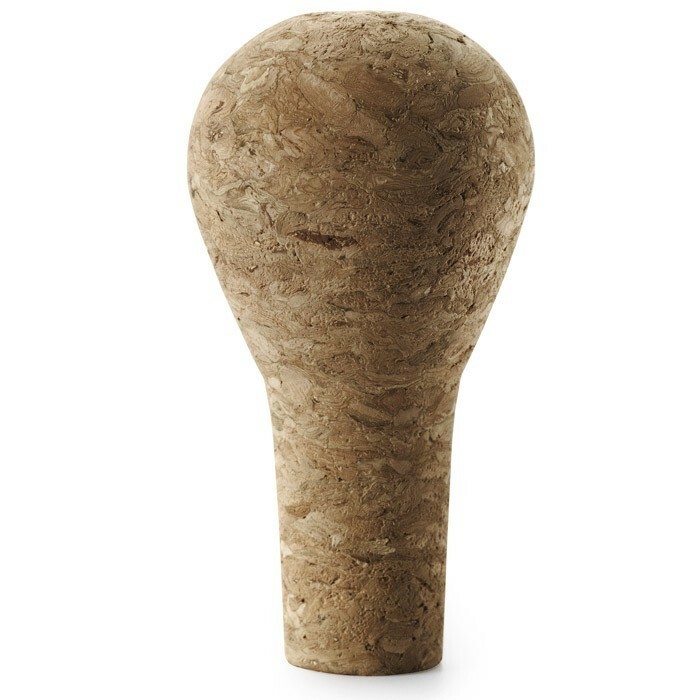 cork is rot-resistant, extremely lightweight, waterproof, and fairly air-tight, as well as flexible and compressible, an excellent insulator against heat and sound, fire resistant and very durable. 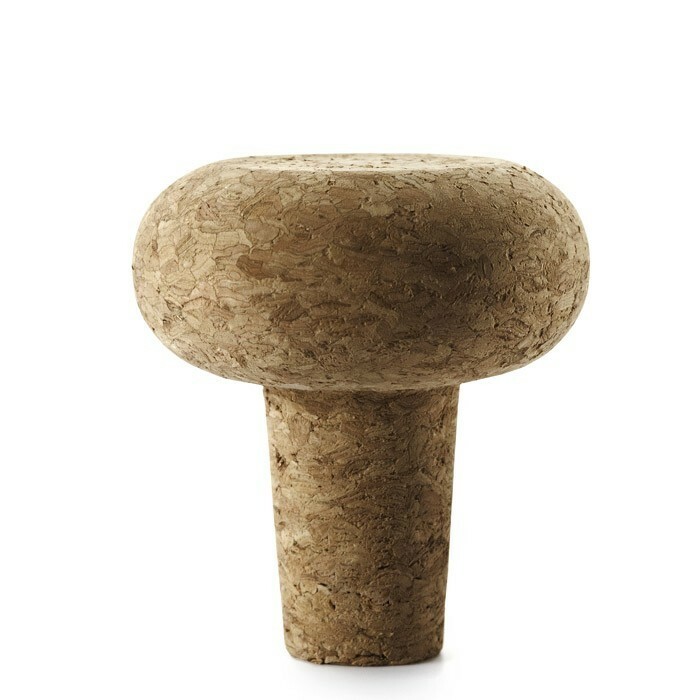 natural: cork gives this stopper a soft and sensual feel, and is as pretty in a rustic kitchen as in an ultra-modern one, thanks to the design skills of a French designer and the high standards of a talented Danish firm. 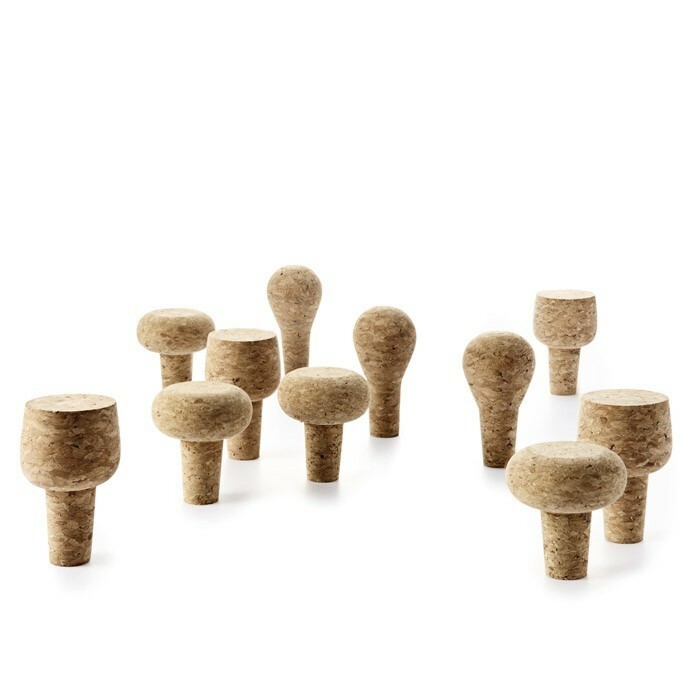 original: matched with the cork and aluminium pour spout, your bottles lined up in rows become decorative objects with their pretty, rounded, recognizable stoppers. 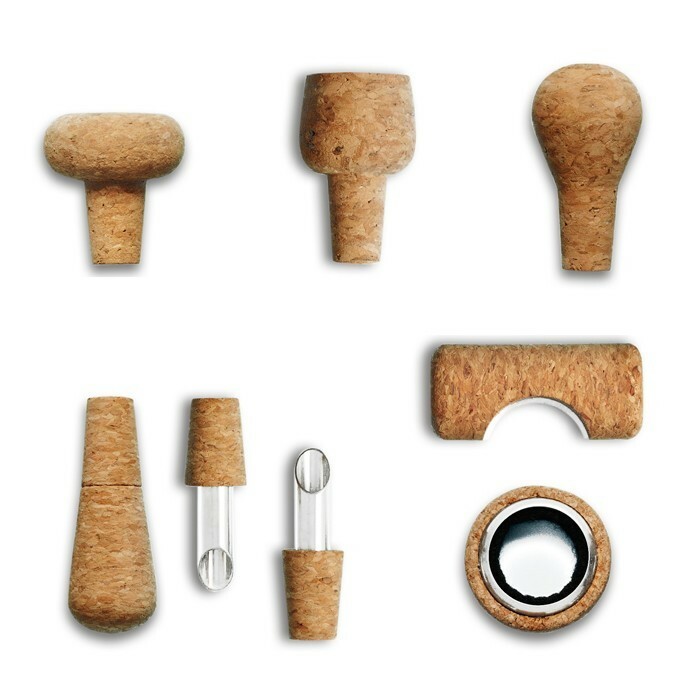 functional: the cork stopper effectively protects the precious contents of your bottle.